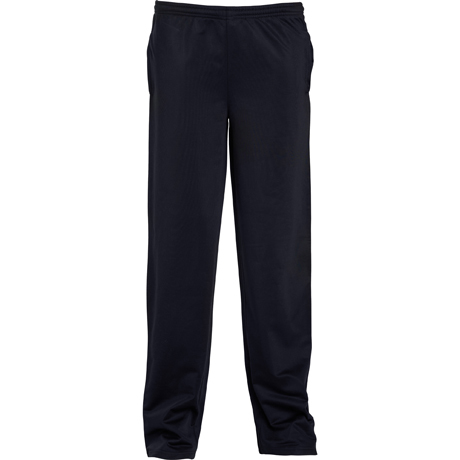 The most comfortable and functional look gives the long pants the maximum distinctive. 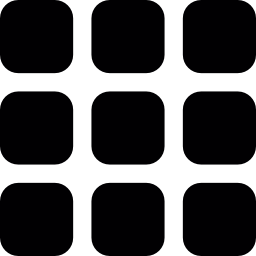 In Roly we manufacture them of many kinds and different styles. 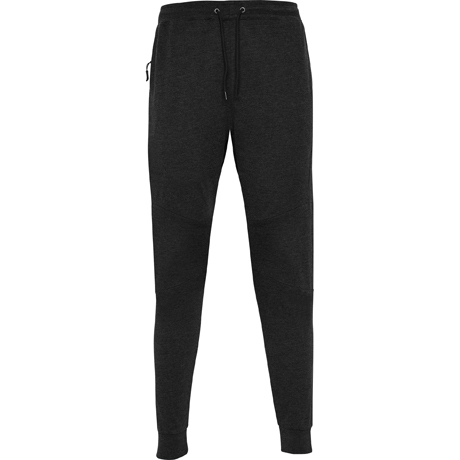 But functionality is the premise of a long unisex trousers. 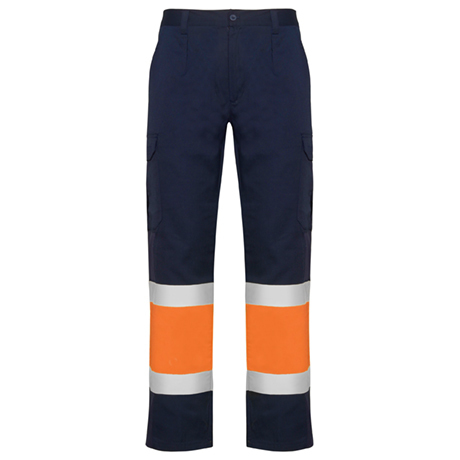 Using a different type of pants, depending on the profession, is a need that gives advantage and work functionality. 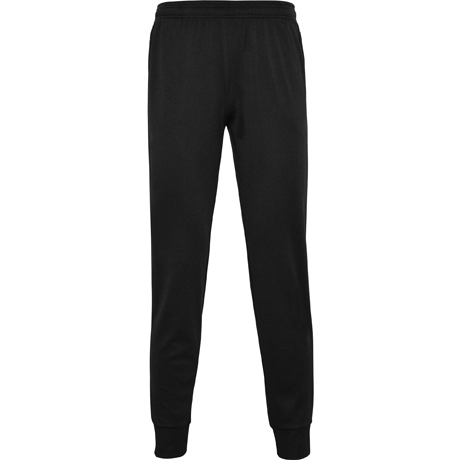 That is why there are pants that have become essential elements for certain trades. 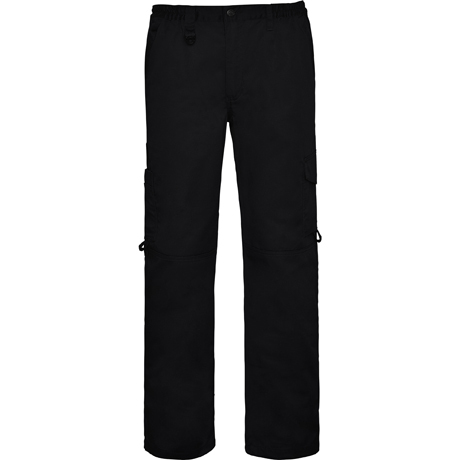 Multi-pocket pants are designed with multiple side compartments for loading tools. 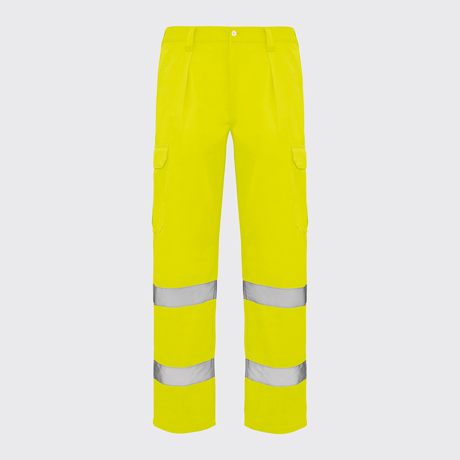 The seams are reinforced to support the weight, and some offer high visibility for work with poor visibility or for specific cases where it may be necessary to be visible. 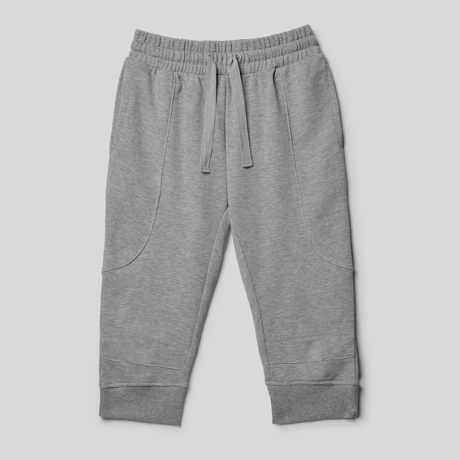 In addition, they are made with fabrics that allow freedom of movement. 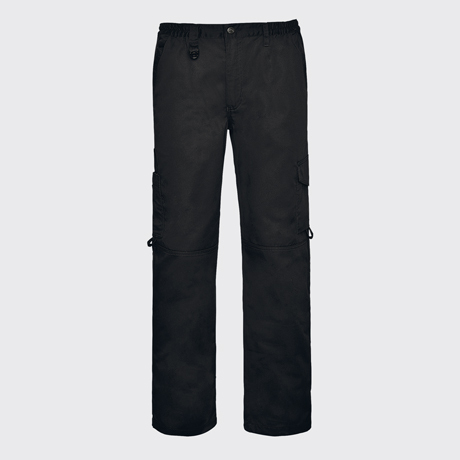 The painter pants are not very different from the multipockets, except for the great variety of compartments. 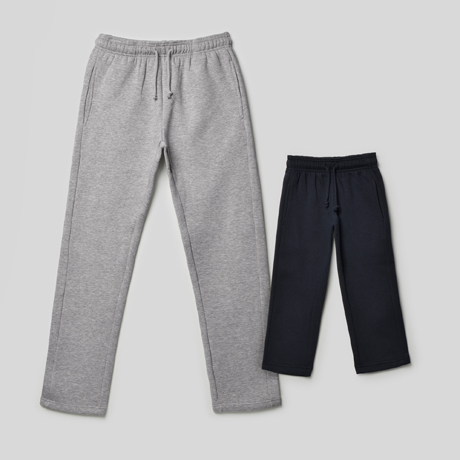 We find resistant fabrics, comfortable and adjustable waist. 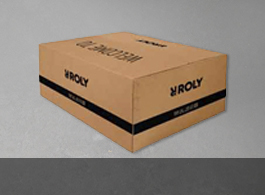 At Roly we distinguish ourselves as manufacturers committed to quality, safety and functionality. 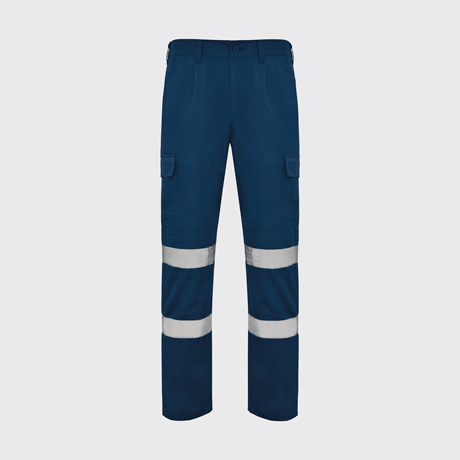 Some manufacturers adapted to new technologies, capable of designing the most versatile garments for all types of time and situation. 65% poliesters / 35% kokvilna, 290 gsm. 60% kokvilna / 40% poliesters, 280 gsm. 50% kokvilna / 50% poliesters, 280 gsm. 100% poliesters. Blīvums: 250 gsm. 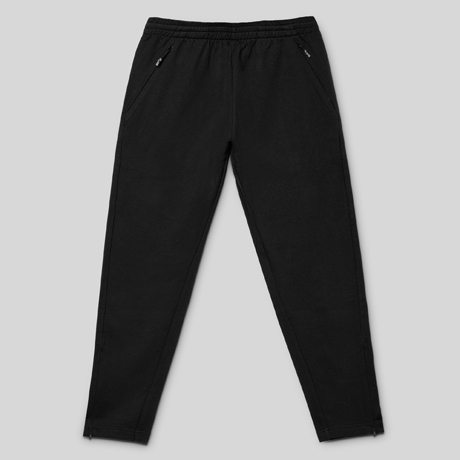 65% poliesters / 35% kokvilna, 235 gsm. 80% poliesters / 20% kokvilna, 235 gsm. 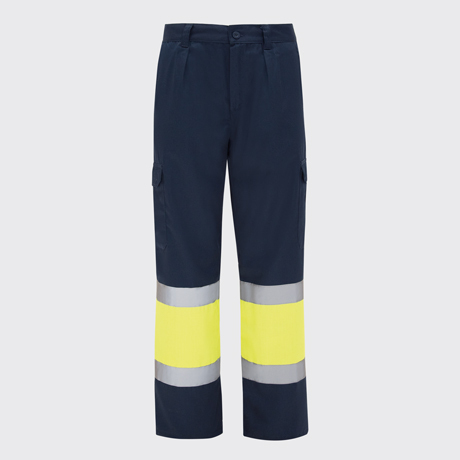 Naos are trousers that guarantee a high visibility for those who work at night. 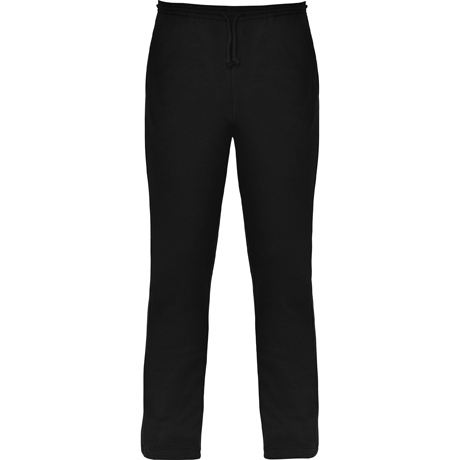 Long and versatile trousers with two side panels with ventilation mesh. 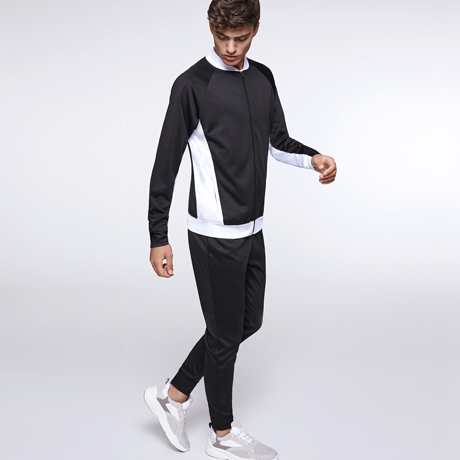 Naos is a combined design in two colors, with reflective tapes perfect for hot days. 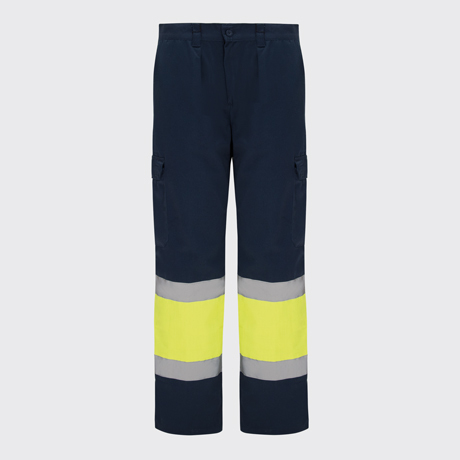 Do you work at night in low visibility circumstances? 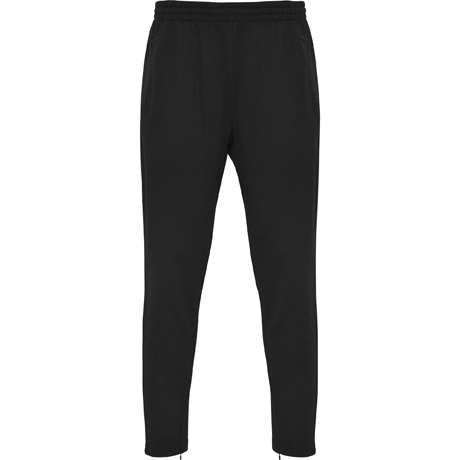 Then Soan are the perfect trousers for you. 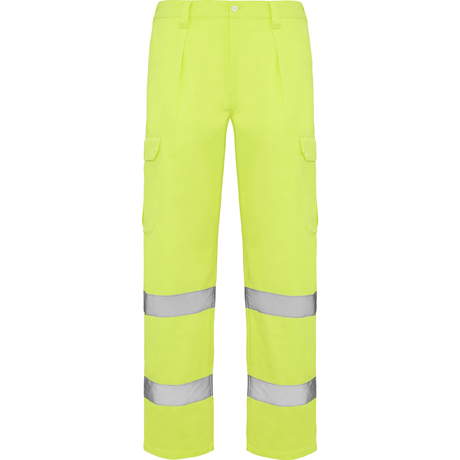 A multi-button design that guarantees high visibility with reflective tapes. 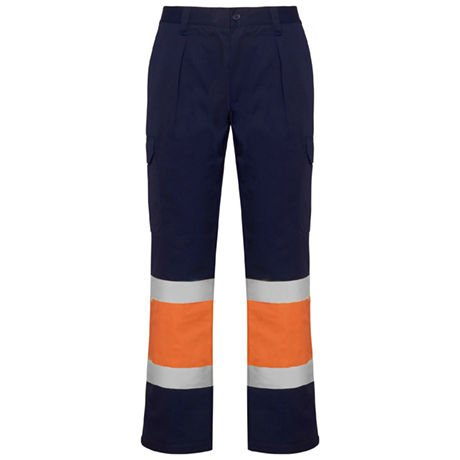 Develop your profession comfortably and safely with the VADEMECUM trousers. 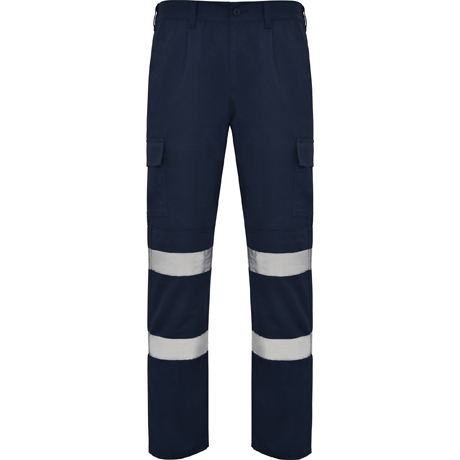 Together with the PANACEA top, you will have the perfect set to perform any job. 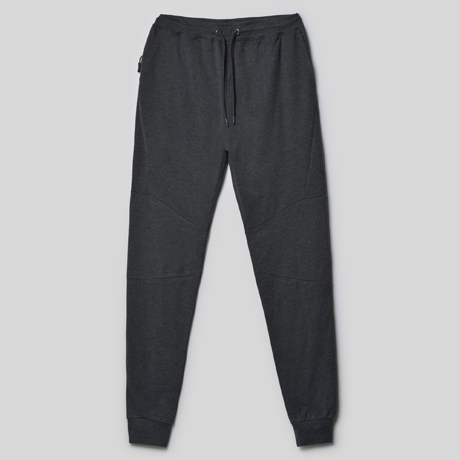 It is time to work with the Protect pants. 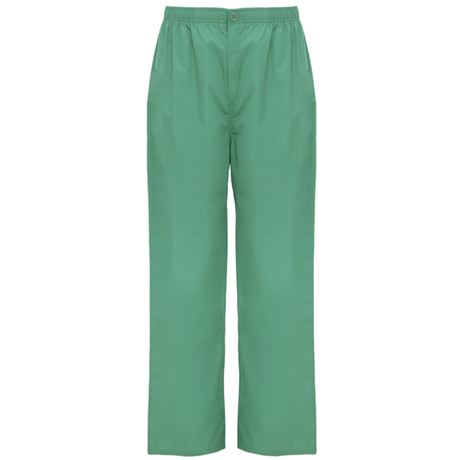 Perfect straight cut trousers without pleats with adjustable elastic waistband and with hanger for keys. 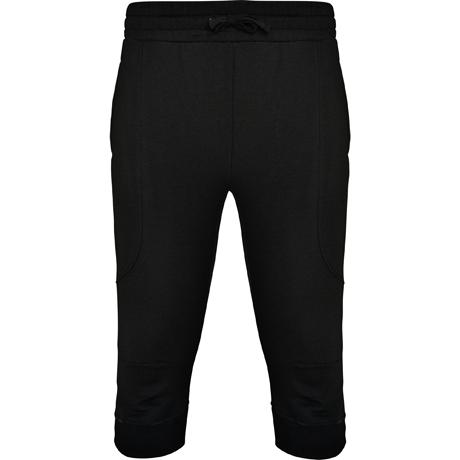 With multiple pockets to store your tools. 65% poliesters / 35% kokvilna. 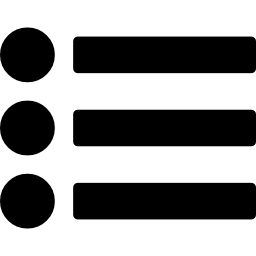 Blīvums: 245 gsm.